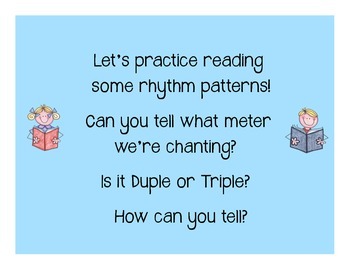 Practice reading duple rhythm patterns with your students! 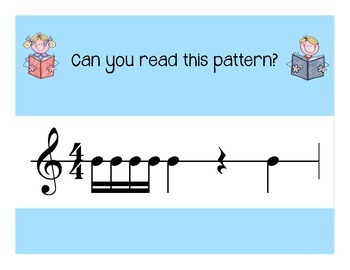 Print as flashcards or use the pdfs on your Interactive White Board! 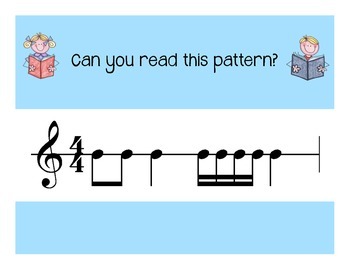 All patterns include quarter note, quarter rest,eighth and sixteenth note combinations.